Newsflash: Penn Dayton Badgley, handsome television and film star best known for his role as Dan Humphrey on Gossip Girl, 27 years of well-worn age, has reportedly settled into an apartment off of the Morgan L train. He has been spotted around the neighborhood at bars, street corners, and subway platforms, as well as chowing down at his assumed favorite indian joint, Desi Grill. Don’t be fooled, B-list celebrities, into thinking we won’t notice a newcomer in our midst. 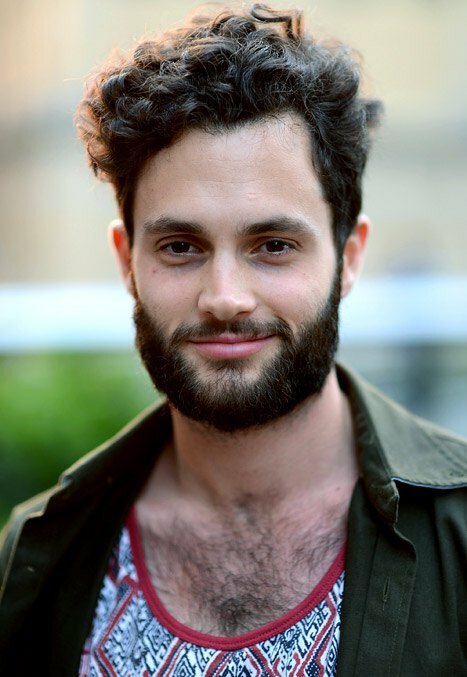 We at Bushwick Daily are the eyes and ears of the community and Penn Badgley, your mild fame (Gossip Girl ended 2 years ago) and little-seen talent ("John Tucker Music Die"-- Really?) has stirred up a mixed bag of reactions among our contributors. Some might say it’s the death of Bushwick. (Those of you who update your Facebook statuses daily to reflect your disdain with your shifting surroundings, what will you say about this one?) The influx of the rich and famous in our midst is and will continue to be ongoing. Hell, the Girls star Zosia Mamet recently bought a million-dollar property on Flushing Ave. Dakota Fanning has been spotted at Tandem. For Christ’s sake, Beyonce and Jay Z dined at Roberta’s last week! The interest of these famed individuals in our home can cause a flurry of excitement in all of us, quickly followed by a backlash-- “there goes the neighborhood.” How do we maintain our own footing on oft-shifting land when the stars want to follow in our paths, road paved by gold and paparazzi? Penn has the opportunity to be an anonymous celebrity who calls this land his own, shuffling to and from town cars, baseball cap hiding his charmed good looks. He also has the opportunity to change the way we see the famous in Bushwick. Perhaps he could take his talents to the stage and light up Bushwick’s own Bushwick Starr theater playing in an independent production. Perhaps he could buy the whole bar a round next time he’s spotted at Pine Box Rock Shop. Maybe he could leave a $1,000 tip at his favorite taco joint. Maybe instead of having his way with the same old models, he could find a way to ask out one of the many beautiful selections of checkout ladies at Associated on Knickerbocker. Perhaps his band, Mother, could do a DIY show at Cheap Storage or Shea Stadium. Another good idea- sharing one of his actually redeemable movies (“Greetings From Tim Buckley” anyone?) for a movie night screening at 983? Maaaaybe, just maybe, he could show off his latest fashion trends on our own #BushwickStyle section. The possibilities are endless, and we’re eager to see what’s next. I mean, he's already rocking the Brooklyn beard. Maybe he does belong here.. Welcome to the neighborhood, Penn. Don’t be a stranger.